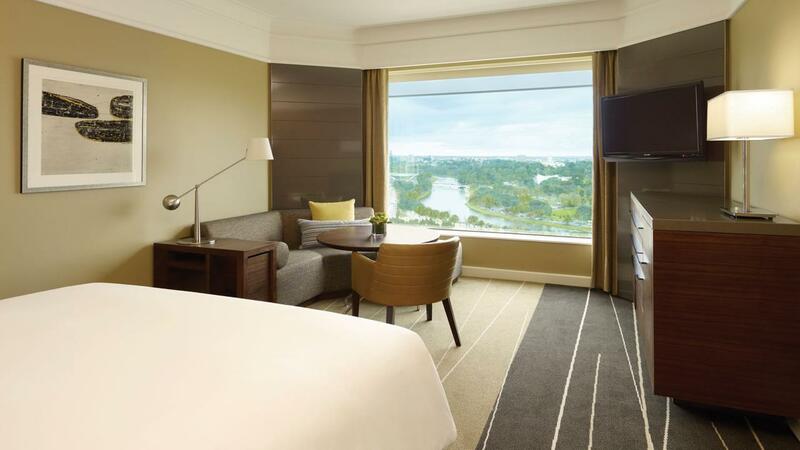 My partner and I are living in the Narre Warren, so we just stay at Grand Hyatt for his birthday. The location of the hotel, the lounge, facilities, room environmental were all perfect. The only problem is our room(1727) were right next to the lift, so we can here when it’s going up of down. However we weren’t bother by it during our sleeping, just a little reminder for people who could easy wake up by noises. I have stayed here before and it is my 'go to' hotel in Melbourne. Centrally located to everything!! Great service, only ate their once - too many options nearby to choose from! Room was spacious with a great sitting area. The location is excellent in the heart of CBD you can walk for everywhere, very clean hotel and clean rooms too. I have some negative feedback about the room we had, The Electricity plug should be for the two sides of the beds as we are couples, also the shower is not a rain shower which is not comfortable. But overall i would recommend this hotel for others. 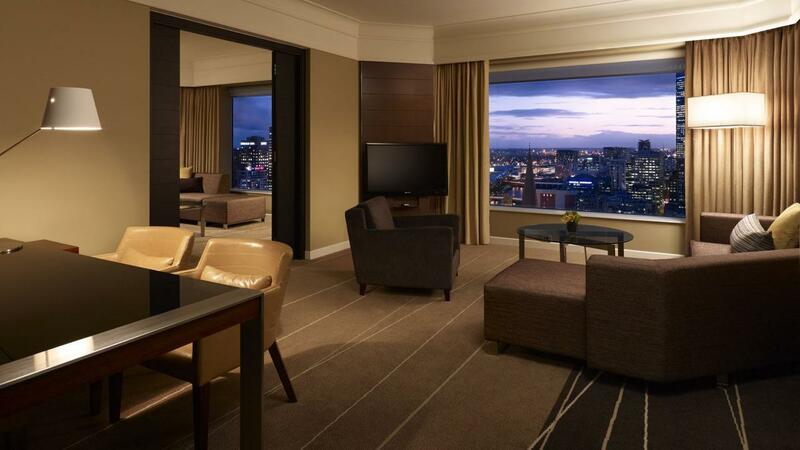 Grand Hyatt is such a great choice to choose among hotels in Melbourne. The price is reasonable and the services is Great. The location is slightly far away from Melbourne CBD, but there's lots of shop around here. Will considered to stay here again. We celebrated a debutante ball at the Grand Hyatt and my husband and I decided to stay on premises for the night. Our check in and out was speedy and professional. The room was impeccable and yet had a homely feel. We were lucky enough to be given a room on level 33 which faced South providing an amazing view across Federation Square with glimpses of the bay. Our only disappointment was the cocktail bar downstairs had stopped serving food by the time we arrived there after midnight. Highly recommended to others. Near all the luxury brand boutiques and very convenient. Room is very nice and clean. Very nice hotel with friendly and kindly staff. Easy to walk to the tourist attraction spots. Around with too many kinds of restaurants. Some issues with breakfast miscommunication but very pleasantly handled! Was very generous with a Chandon champagne for our anniversary celebrations! Thank you! Spend Saturday night on the phone with tech support. Not what I expected for the price I paid. Finally got it working in my iPad but not my phone. Then had to place another call to get that working. Spend $100 on my mobile data. Did not have issues when I was in a cheaper hotel. Grand hyatt doesn't disappoint in Melbourne. While the hotel is situated in the midst of high end stores, you're not far from malls and day to day shopping. Hotel is just one or two blocks from a ton of food options. One of the best hotels in Melbourne. Great location. Easy to get around with all types of transport available. Staff are well trained and professional....and friendly ... Not cheap but overall a very good hotel. I had a great stay, the staff were very friendly and helpful. The club lounge was great and the canapés in the evening was more like a full meal with a dessert station (and delicious chocolates). The breakfast was delicious and had a great variety. The gym is great and has a small pool and tennis and basketball also. I would definitely go back! We are very disappointed with the check in progress. I've booked 3 different rooms. However, during your official check in time, which is at 2pm, there was only 1 room ready. There were six of us. All of us have to squeze in one room because the second room are only ready at 3.30pm. The worst part is we only get the third room ready at almost 5pm, which is three hours behind the check in time. Dear management, please take a look into this. I hope your future guests wont face this kind of situation. 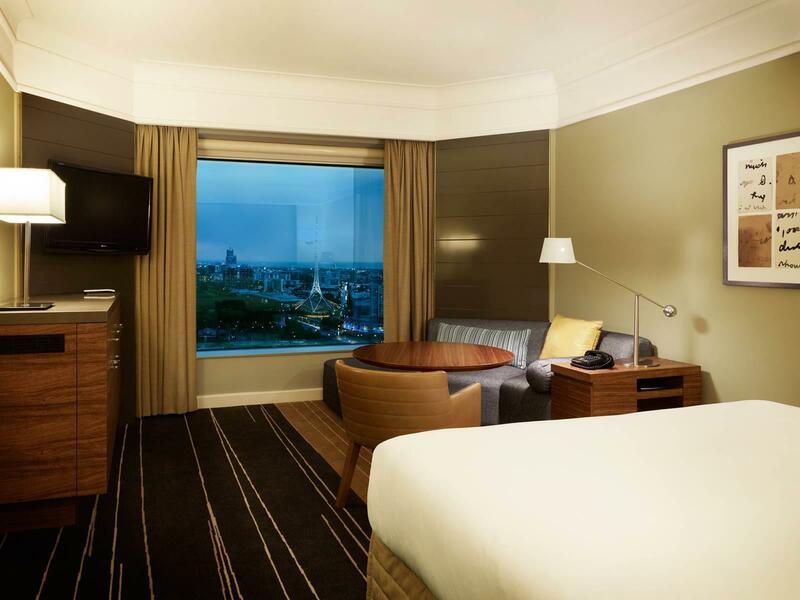 We (your loyal guests) expect the best from Hyatt team. 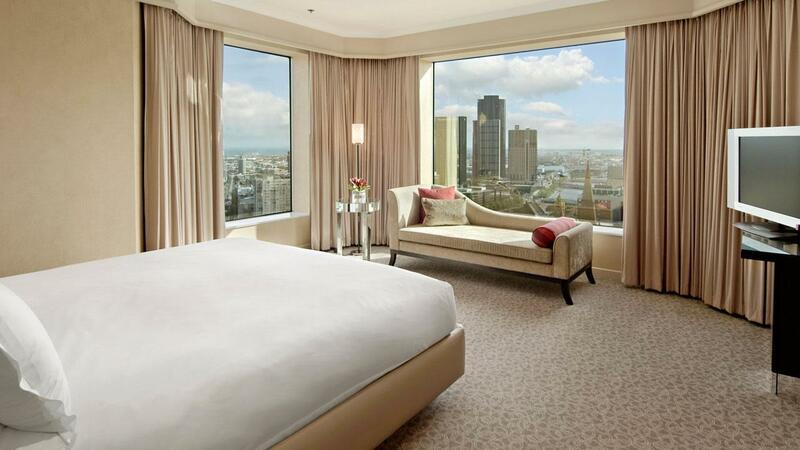 Short 2-day business stay. High quality hotel as you would expect for Hyatt. Staff were all very friendly and would spend the extra for a club level room as amenities and extras you get there well worth it. 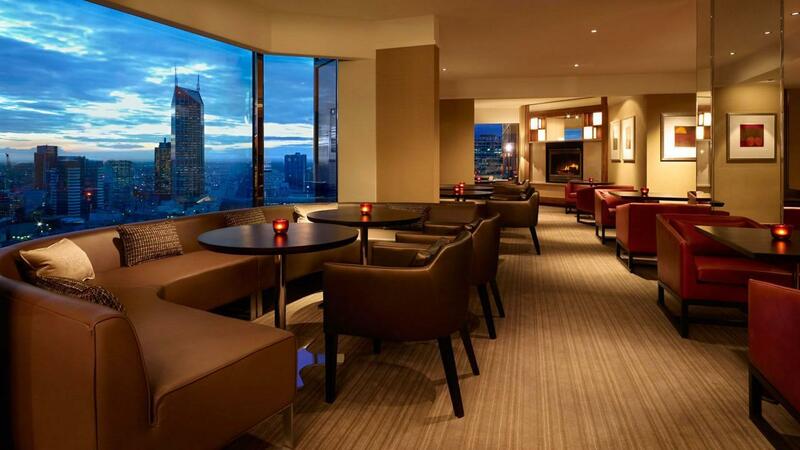 It was a great experience staying at Grand Hyatt Melbourne. Was immediately greeted by the staff upon arrival. Staff at the reception area was awesome! She even shared that we've got the same birthdate and year! I was also pleased that I was able to check in before the allowed time due to the availability of the room. I've requested for my room to be on the upper level and was pleased to be given one on the 25th floor. The view was just amazing! Definitely would come back here again. We came to the Grand Hyatt for a birthday present. It was probably the best 60th present we received. 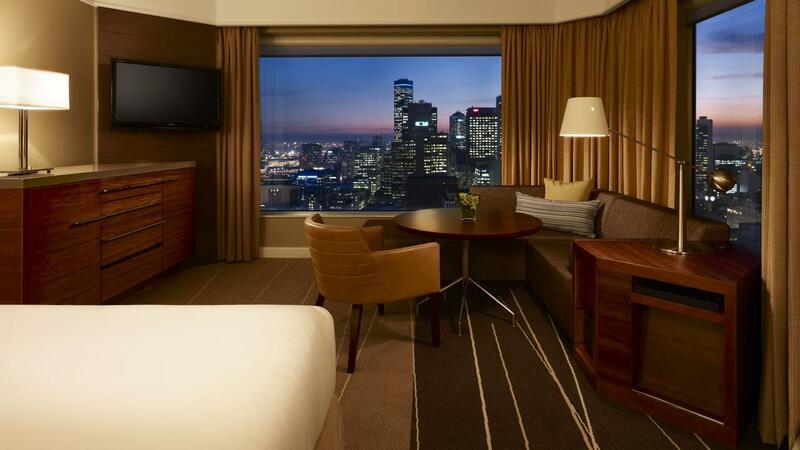 We enjoyed a lovely room with great views of Melbourne from the 25th floor. The facilities are excellent and the staff welcoming and helpful. A wonderful night. สถานีรถไฟ Flinders Street - ระยะ 0.42 กม.